Since Kim Clijsters made a terrific and much needed return to competitive tennis last month, I’m often asked about the depth of the women’s game. The question is: how is it, that she’s able to compete with the top players having taken over two years off? Clijsters has shown that form maybe temporary, but class remains permanent. Does her success highlight how the standard has declined? I don’t think the level has gone down at all, it is just that Kim has adapted to life on tour again, very well indeed. Let us not forget too, that she has been training since January and it's not as if she had to start from scratch. If you stopped using a computer and started again in two years time, you’d still remember how to turn it on, how to type etc, wouldn’t you? For Kim, it’s been a matter of getting fit again – and we’re talking professional athlete fit, and getting in some match-practice. She hits the ball as well as ever, knows where to put it, and is mentally very strong judging by the way she’s been winning the "big" points. And now, she’s married, has a baby, and has plenty of money in the bank; the pressure is off. She can play for fun – and stop any time she wants to. By the way, Belgian media are reporting that Justin Henin is close to a comeback. Let’s keep our fingers crossed! Also, isn’t it interesting that it’s no longer the women’s game which is easy to predict, but the men’s! We have 14 of the top seeds for the tournament making the last 16. Until Friday afternoon at the US Open none of the top 10 had even lost a set! Austrian player Jurgen Melzer, who lost to 6th seed Juan Martin del Potro, admitted there is a big gap between the top players and the rest. In the women's game only seven of the top seeds made the last 16. It’s a transition time with the emergence of some new, fresh faces and the decline of some old ones. Elena Dementieva’s conqueror, Melanie Oudin is a future top 10 player no question, while the ultra-talented Amelie Mauresmo seems to have had her time and is no longer in love with the game. Which players would make up your perfect competitor? the BEST BACKHAND ever is that of JUSTINE HENIN. And it's a one-hander yet. V. Williams does'nt even come in second. I would go with Clijsters' overhead too instead of V. Williams. 'Course as a Belgian I'm heavily biased! Not listed but also important: off-court manners and sportsmanship. I think the Williams sisters could learn a thing or two from Clijsters on that subject, I'm remembering Venus' post-game press-conference from last night! Talk about condescending..
What? Nadal backhand is your best player choice? I am a Nadal fan all the way, but put his mentality as the best in tennis, and maybe the best ever! But as backhands go, you could have chosen Haas, Gaudio, Guga and many others before the great Rafa! 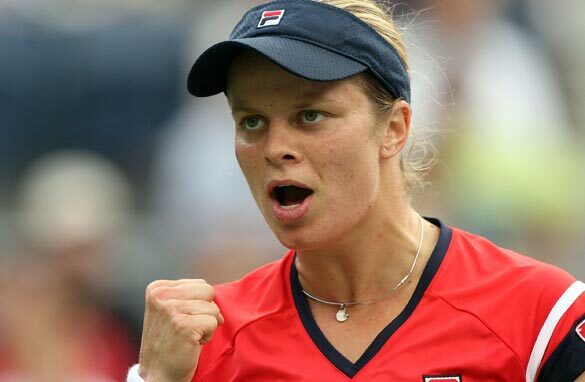 Isn't it just delightful to see Kim Clijsters return to tennis. I hope she will be around for a while, enough to bring back off-court manners and sportsmanship. When she beat Venus, there was just this quiet delight in winning. She is such a class act. I have been so put off Womens' Tennis with all the grunting, screeching noises and it is so nice to see tennis played the way it is supposed to be, quietly and with class. I think that Serena has been discriminated against, not based on race but on gender. Many of the top players have lost their cool on the court and it has always been handled off the court and to the public knowledge has never been fined, lost points, or suspended. Roger Federer, Robin Soderling, Rafael Nadal, and Andy Roddick have all had words with line crew and the umpire. Just at the 2009 French Open, Andy Roddick argued with the chair umpire during the match and even after the match and he was not fine or investigated. I think the US Tennis Assoication should have handled the whole situation off the court. I also think that John McEnroe should be reprimand as well, because his comments on Serena's behavior was uncalled for. John McEnroe is the last person to point fingers at anyone about unprofessional behavior on the court, especially since he wrote the book, chapter and verse on unsportman like conduct on the court. I think Kim handled the situation well and I was happy to see her win another major. It was an unfortunate incidient. In the 10 years Serena has been playing, one meltdown is very good by tennis standards. Let us move on to more important things, like will Roger Federer get his 16th career slam? I was disappointed by the use of the F-word and S-word by Federer towards the chair umpire during the finals. There are ways to get a point across but bad language reflects poorly on the person himself and being a role model to many, he should have known better. No excuses, Roger Federer or not. Just because a point is shouted in bad language does not make it a better argument but merely shows up how most pro players can act like prima donnas in all sense of the word. Class is permanent. Absence was temporary. Best wishes.